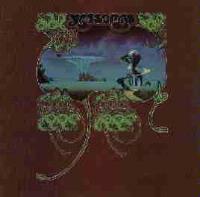 At the time that Yessongs was released, the critics were calling Yes a studio phenomenon, and saying that they could not reproduce their complex arrangements live. This release, at least partially, was meant to dispel that rumour -- and it worked. The performances are great. The lineup on this album is Jon Anderson, Chris Squire, Steve Howe, Rick Wakeman and Alan White, although Bill Bruford plays on a couple of the tracks. Nothing truly prepares the Yes fan for the wonderment of the show like this dramatic interpretation of a classical piece by Stravinsky. It really sets the pace for the show to begin. Frantic Howe riffs begin this cut. 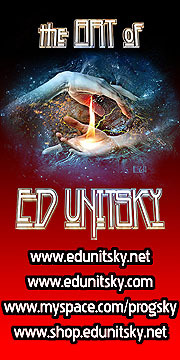 The song explodes in fast paced prog stylings that really move. This one features some great changes, killer vocal interplay and the guitar solo on the outro is one of the finest anywhere. This is live Yes at its best. Exploding out of nowhere, this cut takes off in frantic prog modes. It rapidly drops to a mellow groove driven by Squire's melodic bass riffing. As the keyboards enter, the piece becomes quite lush. Guitar also joins and the cut continues building in intensity before jumping back to the original power that began it. …And this is just the introduction. The cut drops dramatically to a very open and sedate segment that is quite beautiful. It's prog modes build dramatically from there, becoming more powerful and intricate all the time, punctuated by strong bursts of sound that seem to come from nowhere. This one just keeps building and reinventing itself in prog power. As it rebuilds, piano leads for a while in beautiful tones. The prog fury of the intro returns again and leads to a dramatic and powerful outro. With a brief countrified guitar intro, this one jumps in in its bouncy hippie prog mode. It then jumps down to a mellower basic sort of slower prog verse. This is another Yes classic that encompasses multiple changes and styles. It features a great extended jam and drum solo. A dramatic and powerful intro gives way to an acoustic guitar dominated segment that begins to build. This is a classic Yes cut that captures the emotional power of the band in a strong format. This number just keeps building and building before dropping back down to an acoustic guitar interlude. Then it starts building themes from that interlude up, redefining the piece. This segment becomes very strong guitar dominated prog with some wonderful textures and considerable instrumental work, especially the guitar and keys. The cut then drops to a more sedate mode to end the track. Steve Howe's classic acoustic guitar solo, this one combines intricate and neo-classical tones with modes that at times are quite bouncy. A Rick Wakeman keyboard solo, this one starts with organ tones in a neo-classical mode, and then begins its metamorphosis. Synth and piano begin to interplay in classic Wakeman ways. Then the number becomes playful, even going into a silent movie sort of motif. The synthesizers take over from there with synthesized vocals bringing Handel's "Hallelujah Chorus" an interesting new life. Then the number turns dramatic and mysterious in tone, focusing on a synthesized string sounding segment. It then moves to nearly screaming powerful synth strains that are both strong and intricate. This gives way to sounds not unlike firebreathing dragons and a police siren to end the cut. This one leads directly into "Roundabout". As Wakeman's keys die out, Howe chimes that incredibly famous harmonic. He completes the mellow guitar intro and we're off. This is the band's most classic number and it is interesting to hear them perform it here, when it was still new. This is a prog rock classic that gets airplay to this day on classic rock radio stations. It is a twisting, winding prog journey with lots of musical adventure crammed into its 8 and a half minutes. Another classic Yes cut, this one starts off in an acappella mode, then acoustic guitar dominated elements take the cut. Hippied sorts of balladic modes make up this cut, and build and build. Heavier bass tones herald in the second segment with a nice vocal interplay. It then changes gear completely into a fast paced dancing rock sort of cut. A bouncy fun song, this is a good time number. It features some great guitar soloing and drops to a short percussion/vocal segment that includes short bursts of instrumental music before a drum blast brings in the rest of the band to finish the piece. Quirky sort of prog rock riffing begins this cut. It then drops to a creative and dramatic sort of verse section that is bouncy. This is a Yes classic. It explodes back into the intro mode after a time, then back to the verse. The song then drops into Chris Squire's trademark bass solo, "The Fish". Guitar harmonics begin this one here, though, as Howe provides the rhythmic accompaniment to Squire's bass jamming. The bass man runs intricate melody lines around his four-string fret board. For a time, the entire band joins in on the chorus melody of the piece. Then the cut dramatically drops back to just the bass as it wanders in new directions with just the occasional help of some percussion. It eventually explodes into the powerful chorus segment as the rest of the band jumps in. A short recurrence of just bass followed by a bit of a jam with Squire getting backup from Howe ends the piece. This classic Yes epic contains a lot of twists and turns in an incredibly powerful arrangement. This is considered by many to be the band's masterwork, and it comes across quite well in this performance. This one has always been a favorite among Yes fans, and it is strong harder edged prog with a good rocking groove. This is a very strong piece. This is another number that is a definite Yes classic. It is a great jamming number, and a wonderful way to finish off this disc.